Newark Riverfront Revival (NRR), an independent initiative fiscally sponsored by the Ironbound Community Corporation, aims to connect every Newarker to their river. 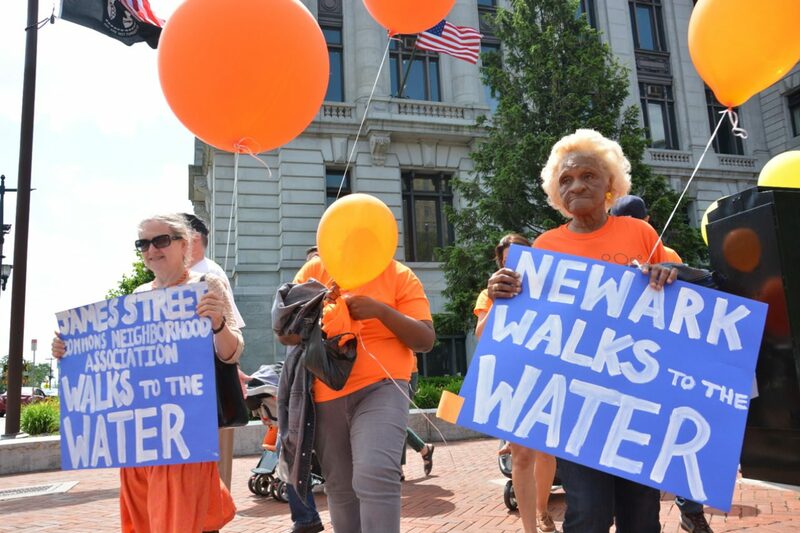 Since 2008, NRR has built support for Newark’s riverfront by taking thousands of people on boat and walking tours, hosting dozens of outreach events, organizing design education programs for youth, and staging a City Hall exhibition. Since 2012, NRR has worked with Essex County, the City of Newark, The Trust for Public Land, Ironbound Community Corporation, and other partners to build and program over 15 acres of riverfront parks, including a walking and biking trail, sports fields and courts, floating boat dock, riverfront boardwalk, playground and other settings for relaxation, picnics, exercise, and environmental education. One idea you may want to include for the Newark waterfront is a community rowing center that allows opportunities for local high schools to participate in the sport of rowing. You may want to check out the following website to see what was done at the Saugatuck Boatclub in Connecticut. Its a really nice facility with restaurants located above where the boats are stored. The Passaic River Rowing Association located in Lyndhurst may have some more ideas on opening, operating, and running a project of this kind. James, that’s a great idea. As the first phase of Newark Riverfront Park will contain a modest floating boat dock, we’re in discussions with youth rowing organizations to bring this kind of programming to Newark. EZ Dock Mid-Atlantic, who provided the floating boat dock, also specializes in rowing docks. Thanks for a nice dock, EZ Dock Mid-Atlantic. And thanks to the New Jersey Department of Transportation Office of Marine Services and their I BOAT NJ Program for funding it! Is there a rendition available anywhere we can see what it is supossed tp look like? You can see a drawing of the design for the area between the Jackson Street Bridge and Oxford Street here. Do you have boat tips open to the public this summer? Yes. Stay tuned for the announcement of the Summer 2013 in coming weeks!